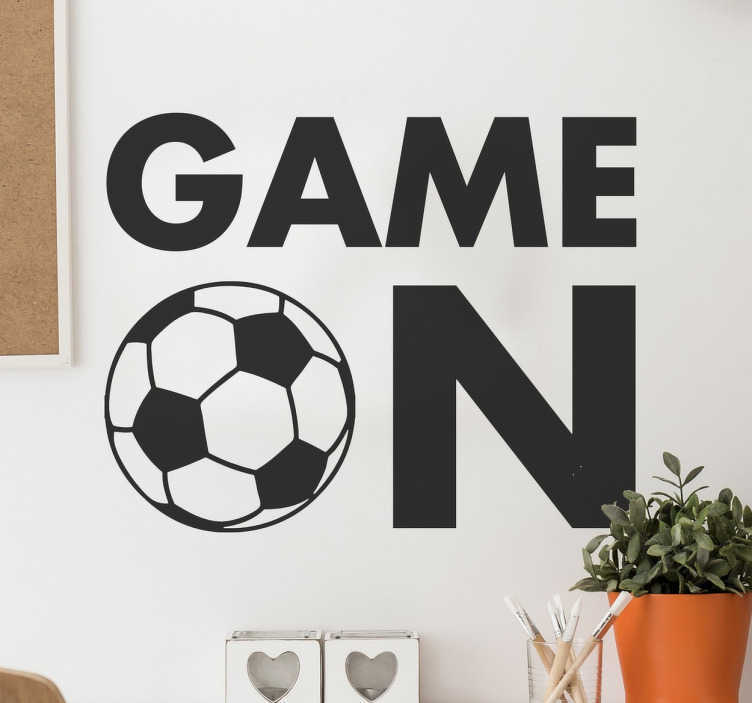 Football wall stickers - If you are a massive fan of football, let everyone in your home know with this cool design. The text sticker features the words "game on" where the "o" is a football. The sports wall sticker can be applied to any smooth surface and is made from high quality, anti-bubble material. Perfect as a kids bedroom sticker for your children who are football mad! And do not worry, all of our stickers are easy to apply and leave no residue on removal. The football sticker comes in up to 50 colours.